Tina Chancey, viols & strings, directs HESPERUS, known for its live early music soundtracks for classic silent films. She plays early and traditional fiddles on roots music from Machaut to Joni Mitchell. 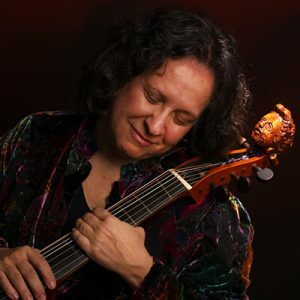 A member of Trio Sefardi and a former member of the Folger Consort and the Ensemble for Early Music, she teaches, improvises, produces recordings, composes, and arranges, and writes topical articles. She has received awards from Early Music America and the Washington Area Music Association.